In Israel, real estate development often follows the routes of new highways and roads that enable potential residents to easily commute to their jobs in the Tel Aviv or Jerusalem areas. On Thursday, the government's special “Housing Cabinet,” which is supposed to come up with ways to lower the cost of housing and increase the availability of homes for first-time homebuyers, gave its approval to the construction and improvement of several traffic arteries that will give the green light to construction of large housing projects in several “hot” areas. Among the projects approved is an expansion of Road 38, the main artery residents of Beit Shemesh use to commute to Jerusalem and the Dan region. Currently a single lane road in each direction, the road is notorious for major traffic jams, accidents, and difficult driving conditions due to its many hills, twists, and turns. Ministers on Thursday gave their consent for the expansion of the road to a two lane highway in each direction by the Netivei Yisrael company (formerly Ma'atz). The expansion of the road will cost NIS 900 million ($250 million). With the project approved, construction can begin on a number of major housing projects in Beit Shemesh, as expansion of the road was a condition for the commencement of construction. 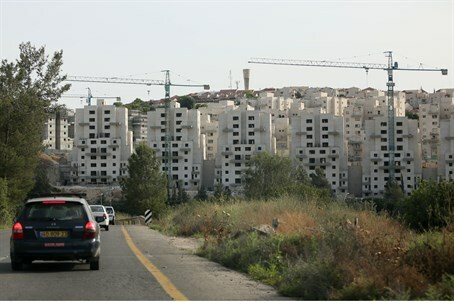 Some 20,000 apartments and homes are slated to be built in Beit Shemesh in the coming years. Also receiving approval was construction of a new road and interchange that will serve the southern reaches of Rosh Ha'ayin. In recent years, the town has become a very popular one, with many new housing projects in what was once a dusty development town. Demand is high in the area, and the new road and interchange will ensure direct access to Road 5, the main artery to Tel Aviv. With approval of the project, construction will soon begin on some 5,000 new housing units. In addition, the cabinet approved construction of a new interchange on Road 70 in the lower Galilee, with a direct exit into the Arab town of Furadis. With approval of that project, construction of 811 homes in Furadis got a green light as well.